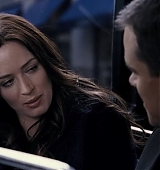 The trailer for The Adjustment Bureau has been released and screen captures have been added to the gallery. You can view the trailer here, I will add it to the video archive later. The movie looks interesting, though not at all what I expected!